Discover a life of carefree bliss with 5-bedroom grand hilltop villa in an extraordinary setting nestled neatly into the hillside; take in the sweeping uninterrupted panoramic views across Muscat Bay and the Gulf of Oman. 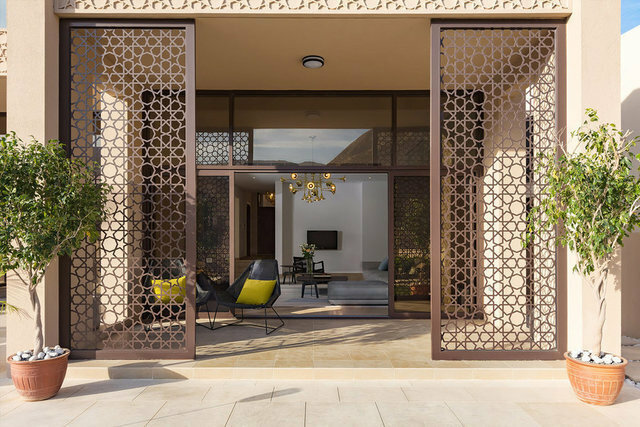 Located on the mountainside adjacent to The Jumeirah Resort Hotel, built on private plots with landscaped gardens of indigenous mountain plants, these residences are designed to be at one with the land and to grant a life less ordinary. A private gated community that enhances exclusivity and offer sweeping panoramic views from the mountains to the sea. These regal residences offer peace and seclusion in a place of majesty and charm.